Researchers studying metal-on-metal (MoM) implants have found a new way to forecast the need for revision surgery. When patients experience pain that cannot be explained by other issues, they may have suffered tissue damage. At the Hospital for Special Surgery, or HSS, Dr. Danyal Nawabi and others found that unexplained pain in this group is not usually due to simple implant wear. These findings were announced at the yearly meeting of the American Academy of Orthopedic Surgeons, or AAOS, in Chicago between March 19 and 23. Every year, hundreds of thousands of patients across the U.S. are helped by hip replacement that quickly relieves immobility and pain associated with osteoarthritis and other conditions. Recently, however, the Hospital for Special Surgery has witnessed larger numbers of metal-on-metal implant recipients suffering from hip pain that can’t readily be explained. Already, thousands of patients around the country have filed lawsuits against the companies that developed and manufactured these new implants with charges that the products are dangerously defective. Researchers at the Hospital for Special Surgery decided to perform this study in order to understand the unexplained pain of large numbers of patients with MoM implants. Patients who visited the HSS to have revision performed on their hip implants were studied by the hospital’s doctors, who handle about 9,000 hip replacement each year, approximately 10 percent of which are revisions. What researchers found amazed them. More than half of the patients studied were found to have moderate or high tissue damage due to the implants. The head of Orthopedic Biometrics at HSS, Dr. Timothy Wright, noted that doctors there did find some patients with major tissue damage but little implant wear, which points to the involvement of other details that affect the issue without necessarily causing pain to patients. 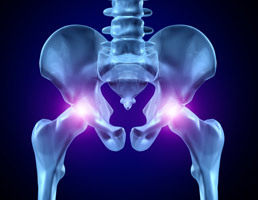 According to the study’s lead researcher, Douglas Padgett, recipients of metal-on-metal hip implants should be monitored by their surgeons after surgery. When doctors identify unexplained pain in this group of patients, they can help those individuals avoid serious damage to tissues by pursuing revision as soon as possible. Although the study performed by the HSS is new to the field, this is not the first time that these issues with MoM implants have been recognized by researchers. For example, a 2013 study released by the FDA warned surgeons that the metal shavings common to metal-on-metal hip implants make revision surgery more likely to be necessary. At this point, thousands of Stryker hip replacement lawsuit plaintiffs have already been affected by the above issues with their implants. The Stryker Rejuvenate and ABG II and DePuy ASR are among the most common offenders in this category. In addition to discussing the issues with MoM implants, researchers at the AAOS meeting also talked about the advantages of hip implants. Besides relieving pain and immobility, hip implants are known to lower patients’ risks of heart failure, decrease the likelihood of diabetes, improve sexual function and reduce chances of depression. Clearly, many patients benefit tremendously from the physical activity made possible by implants that work as they should. As a result, certain other studies revealed at the meeting of the AAOS looked at the advantages rather than the downfalls of hip implants.